I'm interested to hear your review as I was considering buying it. 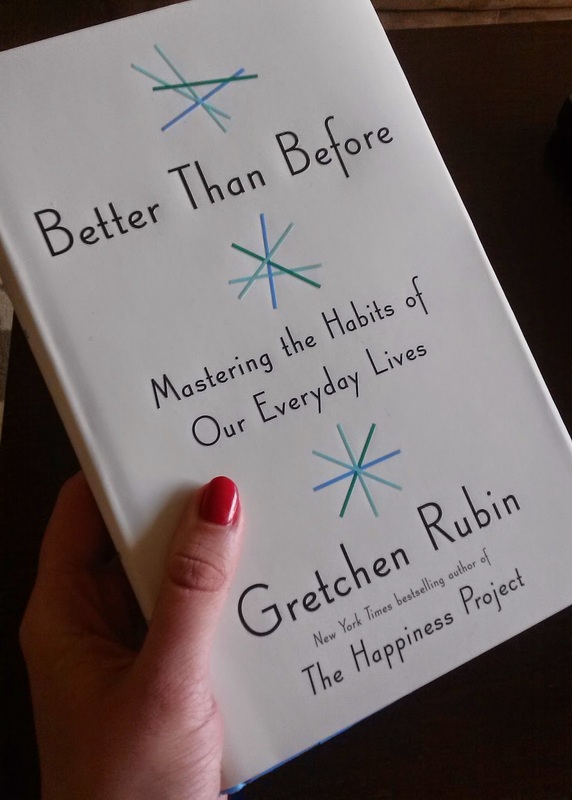 I used to read Gretchen's blog but haven't read any of her books. I haven't read her blog, but follow her on facebook and have enjoyed two of her books, The Happiness Project and Happier at Home. I highly recommend that you read The Happiness Project first because she's references it often in Better Than Before. I am loving BTB so far. I do think of this as a blog with an audience, but I also see it as my personal journal. I have always had a diary. I love my blog and readers! I am not one for trends, but it is nice to be part of a blogging community. I will review this book once I finally finish it, so stay tuned! Benvenuto! Welcome! Grazie. Thank you.